THE enrolment for part-time degree programmes at SIM University (UniSIM) has grown by almost 6 per cent in the last year, reflecting working adults' enthusiasm for pursuing further qualifications to improve their career prospects. The university received 5,500 applications this year, about the same number as last year. But as there were more qualified candidates this year and the university expanded its campus, it pushed up its enrolment to 13,300 this year from 12,600 last year. This does not include the 200 places in its first three full-time degree courses this year, which drew 1,500 applications. UniSIM president Cheong Hee Kiat expects enrolment for its part-time degree courses to go up further next year to 14,000, because workers’ interest in upgrading their skills is likely to grow. “Working adults want to further themselves in their career. Some want to make a switch. Uni-SIM offers them a flexible path to work and study for a degree at the same time,” he said. 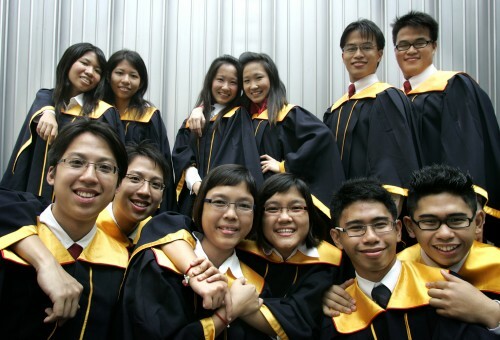 While this seems to go against the Government’s recent push to get Singaporeans to move away from chasing qualifications, starting with recommendations by the Applied Study in Polytechnics and Institute of Technical Education Review (Aspire) committee, he stressed that the Government is not dissuading Singaporeans from pursuing degrees. Instead, it hopes that Singaporeans will pursue the qualifications relevant to their jobs, which will help them further themselves, said Prof Cheong, who served on the committee. A UniSIM student is 28 years old on average. Most have three to five years of work experience, and get their degrees in four years. The students say the main attraction is that UniSIM courses are recognised by the industry. Many of its 55 courses, from counselling to aviation maintenance, are accredited by professional bodies. Its popular accountancy degree, for instance, is recognised by the Accounting and Corporate Regulatory Authority. Its Human Factors in Safety course is recognised by the Ministry of Manpower (MOM) and meets a rising need for workplace safety and health professionals. By 2018, 19,000 will be needed, up from fewer than 5,000 now. Mr Sadat Hassan, 33, said he picked this part-time course as it is relevant to his job as a safety officer in a marine services firm. “In the marine industry, human factors play a big part. So the course was very relevant. On top of that, you have recognition from MOM, so it has quality,” he said. Ms Corrine Tan, 28, who will start on a social work degree course next year, said an additional pull factor is the 55 per cent government subsidy for Singaporeans who pursue a part-time degree at UniSIM, like the publicly funded universities. This means a student pays only $13,500, not $30,000, for a three-year course.